In the days of horse-drawn travel, Montreuil-sur-Mer – now an easy hour’s drive from Calais - was a coaching stop en route from London to Paris. Now, with ironwork lanterns still lighting up the coach-size doorways of tall rust-brick townhouses, you could be forgiven for thinking you were on the set of an atmospheric 19th century period drama. What’s more, when you wander the streets, you can’t help but notice a palpable community kinship (and an awful lot of ‘bises’ - France’s customary greetings kisses) amongst the locals. Clearly, the natives have succeeded in nurturing something special, so we set out to find out more and help you get your own taste of the Montreuil je-ne-sais-quoi. It appears that the thing binding the locals together is food - really good food - with an unusually high concentration of quality eateries and specialist shops for such a small town. With this in mind, savvy locals have come up with the quality label ‘La Destination Gastronomique’ to promote a simple mission; whatever foodie experience you are after – a baguette or a bottle, an exquisite cheese, atmospheric apéritif or the perfect restaurant for dinner – this go-to list of recommendations pulls together the ‘best-of’, each address carefully selected for its quality, price, taste, service and savoir-faire. It takes all the pot-luck out of the foodie experience and better still, you can whet your appetite in advance by watching the minute-long taster-videos on Facebook, each one presenting the ethos of a Montreuil ‘bonne adresse’. You’ll find that the locals – or Montreuillois as they are known – are unaccustomed to shopping in big stores. For cheese: They head to the cave-like Fromagerie Caseus; expect a warm welcome and a glorious waft of pungent Vieux Lille. Go for a local variety such as Pavé de Montreuil or Sire de Créquy. For wine: Montreuil has a long held reputation for wine knowledge, passion and supply. Just ask Julian at La Cave de Montreuil or Jean-Benoit at Vinophilie for advice on all of France’s finest. For bread: Locals line up at the Le Grémont bakery (a contender in a nationally-televised best-French-baker competition in fact) where around 22 varieties of bread are baked every day. Market day: Head to Place du Général de Gaulle on a Saturday morning for all things local such as Les Mains Noires’ vegetables. Pierre grows his goods (which incidentally supply many of the town’s restaurants) literally a stone’s throw from his stall. Spreading La Destination Gastronomique’s good Montreuil vibes is Tim Matthews, not a native – as his name suggests - but in every sense a true local. He’s also the owner of one of the finest places to stay in town: Maison 76, a Hôtel Particulier (mansion) with an interesting history, 3 super-chic bedrooms, a suite, table d’hôte service on request and - most importantly - 24-hour cake. 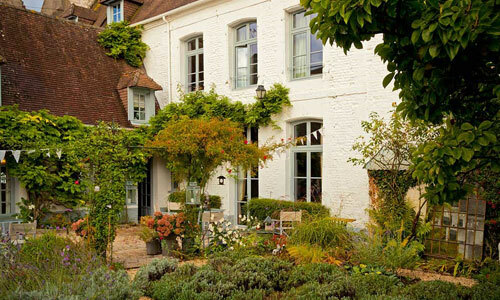 Big hotel meets old-world-charm can be found at the Hermitage or, for a small, stylish B&B (take a look at the interesting street-art opposite), search up L’Art du Temps who also have a fresh and boutique self-catering property in town. For lunch: Stop for soup at Le Pot du Clape. 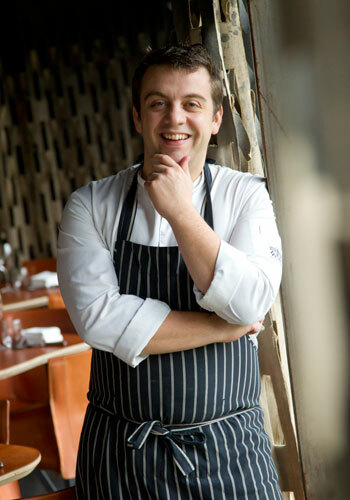 Soup is Monsieur’s speciality and his accompanying breads and tartelettes are served straight from the bread-oven. For an apéritif: Le Caveau is a proper locals’ haunt with a great wine list and convivial buzz on the terrace. For dinner: Renowned for the two Michelin stars at La Grenouillère, Alexandre Gauthier also has two further places to eat in town: Froggys (a cosy rôtisserie) and Anecdote (chic contemporary French). For traditional local flavour, you could try the Ris de Veau dish (veal sweetbreads) at either the Darnetal (locals love its unchanging style and ambience) or at the Clos des Capucins where, if you’re offally-sensitive, go for the turbot! 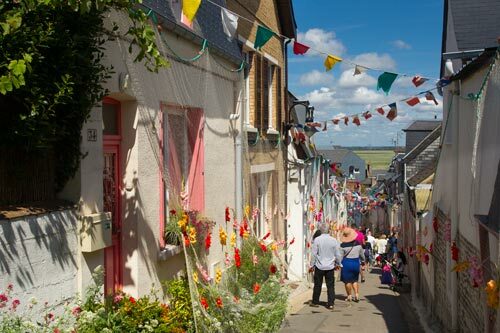 Walk it off… in town: head away from the main squares to the maze of picturesque streets, such as those around Rues Clape en Bas, Clape en Haut and Général Potez. 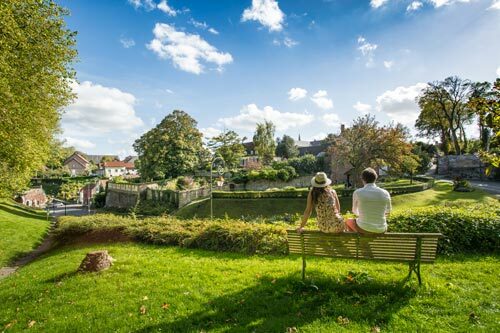 … or all the way around town: walking the ramparts - complete with views of the Canche river - will take you around 35 minutes. You can also visit the Citadelle fortress and/or Roger Rodière Museum for an insight into the town’s military chapters (from the Middle Ages to World War I) and art collections plus archaeological and religious artefacts. In a town suffixed ‘sur-Mer’, you’d be justified in asking where exactly that mer is. Once upon a time by-sea, the town is now landlocked (thanks to tidal changes) but not so far from the coast that the locals don’t head there at weekends. 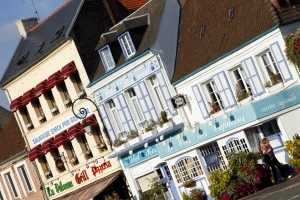 Locals boast – quite correctly - that the Triangle d’Or (golden triangle) of Montreuil - Saint Valery sur Somme (40 mins drive) and Le Touquet (25 mins drive) has everything visitors could ever need: its nature, coast and of course… the destination gastronomique. Watch (again): Les Misérables. The Hugo heritage is celebrated here with everything from a summer son et lumière show to the Jean Valjean loaf at Boulanger Grémont. Buy: A piece of artisan glass-jewellery from Paola Boccanfuso’s workshop on Rue Clape-en-Haut. 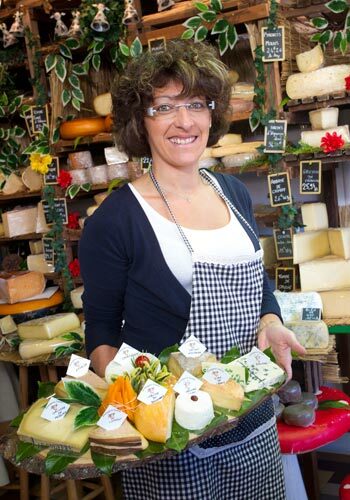 Plan: Search up the Montreuil en Bouche food-fest and the Marché aux Puces (1000 stall fleamarket), both in July. There’s also a festive wine event, the Salon du Vin – in December.